Editor’s Note: Zuzana Husárová is a Slovak writer, researcher and electronic literature pioneer. 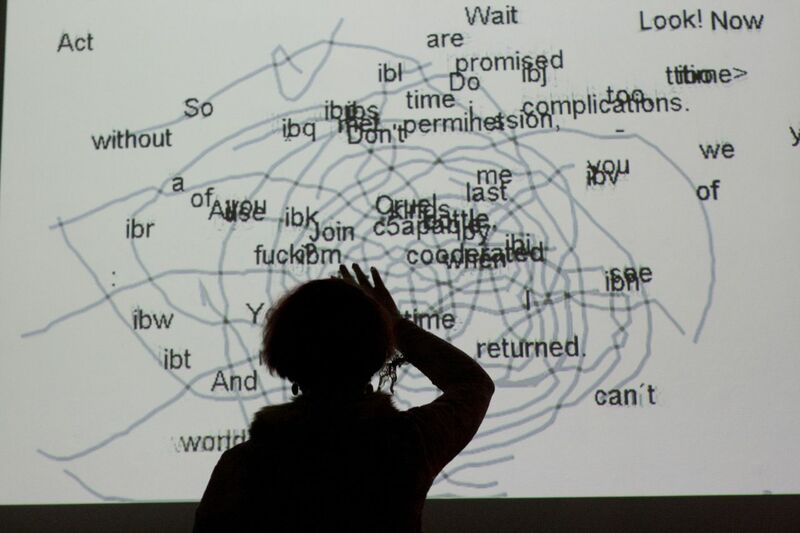 As a practitioner of sound poetry, media poetry, inter/transmedial narrative, digital art, interdisciplinary literary theory, multilinear writing, and techno-aesthetics, she embraces a spectrum of forms that put her on the forefront of writing in the 21st century. Here she talks with B O D Y about literature, life, and hyperlinks. Click on the video above to see one of her recent visual works, and click here to hear one of her sound poems. B O D Y: Why sound poetry, or media poetry? What has drawn you to this particular genre, rather than to the more traditional medium of print? Zuzana Husárová: I work across various media. I started working with electronic literature creatively just after I finished my PhD in electronic literature research. I was tempted to express myself creatively in the field, where I have expressed myself theoretically and analytically. 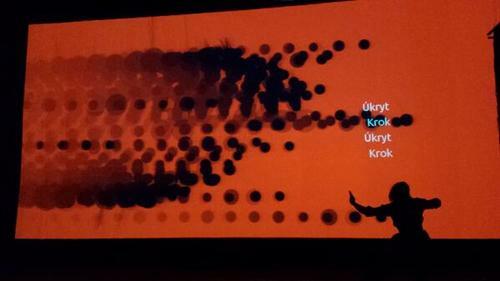 I also have a transmedial project called liminal, on which I collaborate with a visual artist, Amalia Roxana Filip. One part of this project is a visual poetry book (along with sound poetry and live performances). I like to experience a diversity of possibilities that media (also in the sense of codex) can provide for the poetic expression, and by which the creation of the poetic can be influenced. B O D Y: What can we learn/experience from sound or media poetry that we can’t from a printed page? We can also learn to listen (rather than just read), to experience intermediality, feel a response to touch, to voice, to the whole body and its movements. We can hear the emotional expressiveness of the author, the depth, loudness and tonality of her voiced persona. Sound poetry does not have to be only in the sonic version. Dadaist, Futurists, and Lettrists also wrote their sound poems on the page. For example Hugo Ball’s famous “Karawane” from 1917 is written in different fonts, with some expressions in bold, some in italics. But when you listen to the performances by sound poets (e.g. 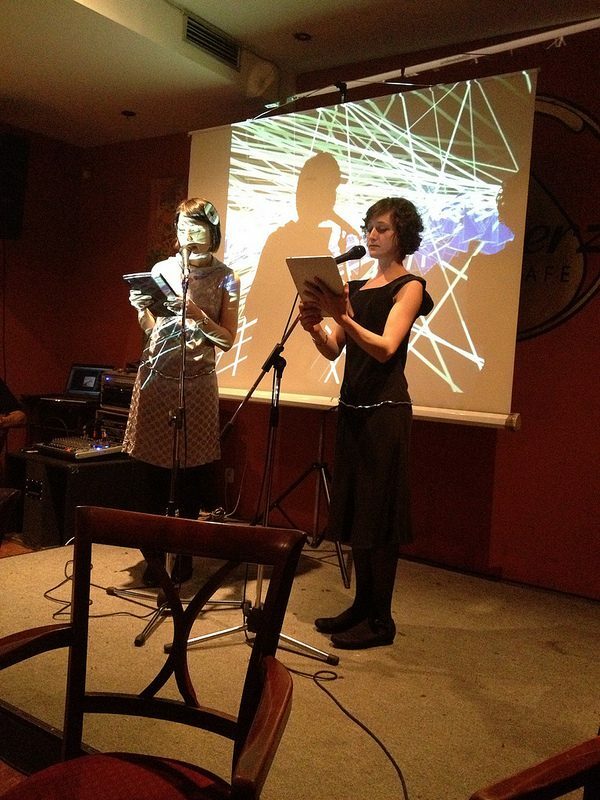 on the webpage by Electronic Poetry Centre, or on UbuWeb Sound), to their range of speed and loudness, it opens new ways of understanding the whole meaning of a piece. The meaning is based not on the semantics of the whole words, but very often on nonce words, on clipped words, on verbal fragments and hybrids, on syllables, speech sounds, even shrieks, whispers, breathing and on the emotional load of the mentioned presentations. Even the particular way of use of media for recording and remixing (from tape recorder, through dictaphone, computer programmes, smartphones, even to text-to-speech) and the implementation of silence/noise has a semantic role. Enter:in’ Wodies by Zuzana Husárová. 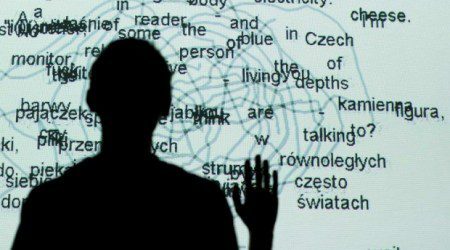 Electronic poetry is based on the flux of words and their parts, on the reader’s interactivity, on the intermedial connections, on the play, it can be generative, 3D, touch-based. The printed page is flat and e-lit tries, in various specific ways, to contradict flatness. B O D Y: Can you talk a little about the history/development of sound and media poetry, and where you see it going from here? The historical development and genres connected with digital literature have already been very well-mapped, discussed and analyzed. I will mention just a few outstanding works: The book Prehistoric Digital Poetry: An Archeology of Forms, 1959–1995 by Chris Funkhouser, the book chapter Electronic Literature: What is it? by N. Katherine Hayles, Loss Pequeño Glazier’s book Digital Poetics, Jörgen Schäfer’s paper Literary Machines Made in Germany: German Proto-Cybertexts from the Baroque Era to the Present, Friedrich W. Block’s paper “How to Construct the Genre of Digital Poetry”, among other numerous papers and books by many other e-lit scholars. Wonderful databases covering and mapping the topics and themes of e-lit include ELMCIP. The first piece of digital poetry is now considered to be Christopher Strachey’s love letter generator, created on the computer Manchester Mark 1 in 1952. For more on this, you can read Noah Wardrip-Fruin’s text Christopher Strachey: The first digital artist? In the field of contemporary sound poetry, I see besides the stress on the performative aspects, besides all the use of new, easily portable sound machines (that allow easier, faster manipulation and modulation of voice) also the connection with other media. Sound poetry can be linked to iPad applications (like works by Jörg Piringer), sound poets work with vjs or play their own visual material (Heike Fiedler). The use of noise, glitch, sound layers, modulated voices and extensive sound techniques is nothing new, but rather than standing on their own, they have become incorporated into the whole sound/media-scape and are manipulated in new ways and in novel contexts. In electronic literature, one can see on the one hand a shifting from the space of the screen into the actual space – either by the use of Kinect interaction, or by locative poetry (apps by Swiss artgroup and-or), or as interactive installations (one great example is the project that is also in the form of applications: P.o.E.M.M. = Poetry for Excitable [Mobile] Media by Jason Edward Lewis & Bruno Nadeau). On the other hand, poetic applications for touch screens are also on the rise (Strange Rain by Eric Loyer, #Carnivast by Mez Breeze and Andy Campbell, and many others). Electronic literature has moved to a post-digital phase. B O D Y: What would you say to people who insist that poetry is only poetry when it is on the page? Zuzana Husárová: I would say that their limitation causes them harm, because they are missing a great amount of wonderful pieces that could broaden their horizons. B O D Y: What makes a “good” or “successful” sound or media poem? Zuzana Husárová: Charles Bernstein says in his “What makes a poem a poem” that “it’s the timing.” So, maybe we could say that it is a “successfully sounding timing”? But what does it mean to be sounding successfully or to use media in a good way? N. Katherine Hayles has a wonderful notion for expressing the interconnectedness between the textual content and the medium – a “technotext.” For me, the well-made sound/electronic poem is the one, whose every constituent part is chosen/created with the intention to contribute to the (development of) the concept/poetics/aesthetics/semantics of the whole work. It is also the one that opens new ways of thinking/wondering about poetry, sound, media, interaction and makes you amused/puzzled/moved, makes you want to study, explore, do something similar.